The moment we arrived in Lake Garda on Wednesday for the last leg of our trip, I looked at my husband and said, “Good luck getting me on that plane back home.” The vistas are breathtaking, the air is clean, and the food is to die for. Total heaven here. Check out my Instagram and Facebook page for some pictures. One food combination that I will never tire of is tomatoes and basil. 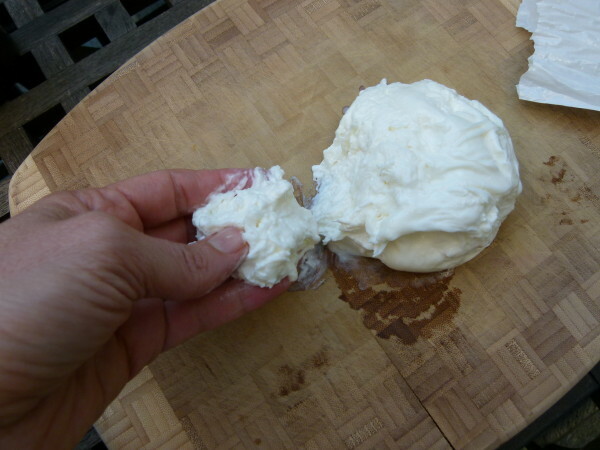 And if you add some high quality mozzarella, I am even happier. I do so many combinations of tomatoes and basil in the summer, whether it be in soups, salads, pasta, eggs, grains, on toast, and on and on. Needless to say, I have been indulging like crazy in Italy, where I will argue you find the best tomatoes! I made this soup at home before I left. The recipe is from Angelini Osteria, one of my favorite Italian restaurants in LA, and was printed in the LA Times recently. I didn’t waste any time making it! Trust me when I tell you that you must use great, flavorful tomatoes here. Otherwise, the soup will probably taste like nothing. 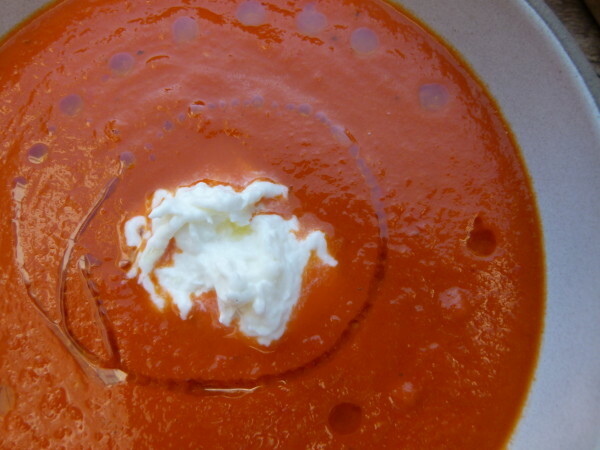 I’ve tasted other Italian tomato soups in the past and they’ve all tasted like tomato sauce. Not this one! It’s so light and fresh with just a little essence of basil. It is summer in a bowl! Also, did you know that tomatoes are very rich in lycopene, a powerful antioxidant and anti-cancer compound. 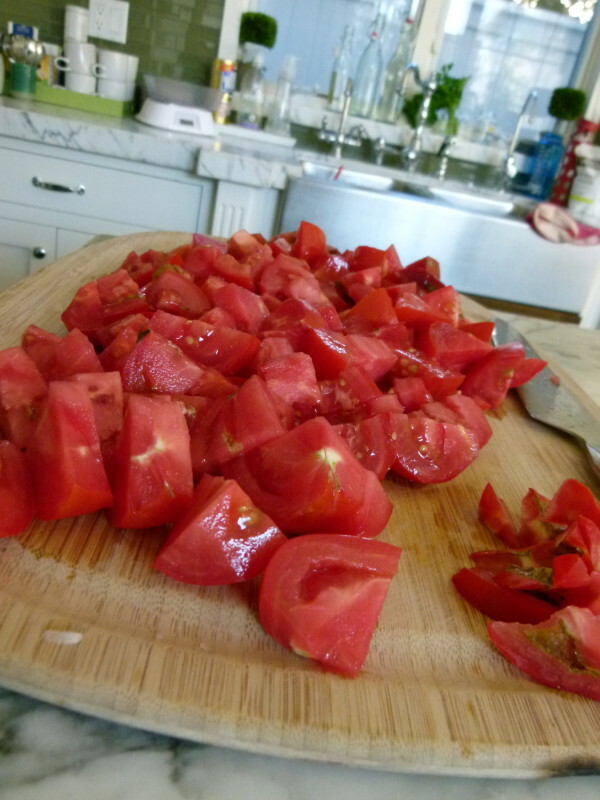 But the lycopene becomes more available when the tomatoes are cooked. Bonus! I couldn’t help but drizzle some good olive oil on the soup and tear a smidge of burrata into it, too. If you want to keep this dairy-free or vegan, just forget the burrata and add a piece of grilled bread rubbed with some garlic. You really can’t go wrong. Sadly, this vacation is coming to an end soon. But I am excited to get back in the kitchen in a few days and cook again. I’ve been so inspired by all the places we have visited. I am also looking forward to seeing many of you next week in class. Lots of stories to share and yummy food to make! In a medium, heavy bottomed pot, heat 2 Tablespoons olive oil over medium heat. 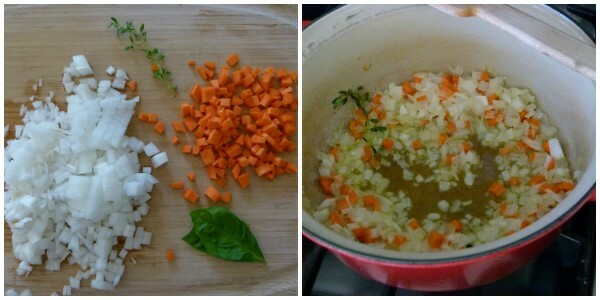 Add the onion, carrot, basil and thyme. Cook, stirring frequently until the vegetables are tender; 10-12 minutes. Stir in the tomatoes, along with ¾ teaspoon salt and ¼ teaspoon pepper. 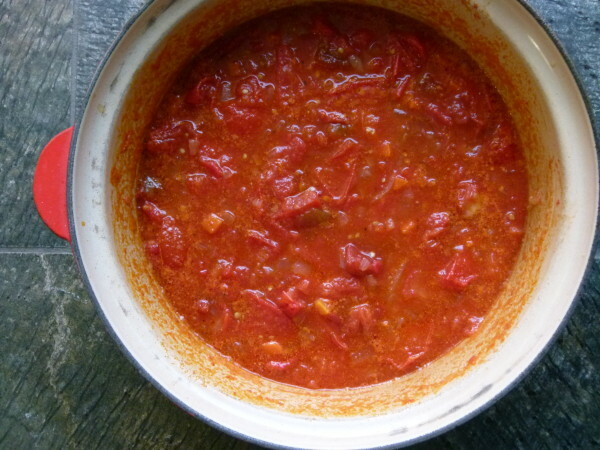 Simmer for 20 minutes to break down the tomatoes and meld the flavors. 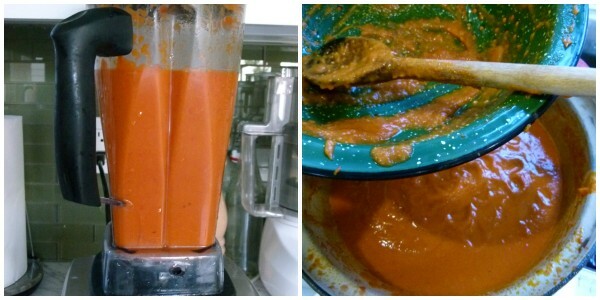 Remove from the heat and puree the soup in a blender or food processor, then strain through a strainer. Taste for seasoning. I added a bit more salt. 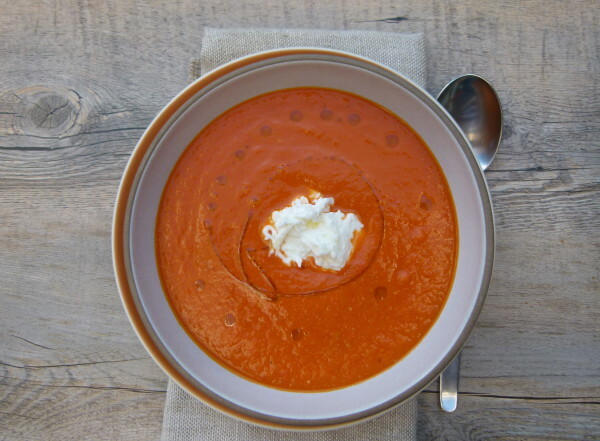 Serve the soup hot or warm, with desired garnishes and a drizzle of olive oil. This soup looks delicious! Is there a sub for the fresh tomatos so I can make in the winter? Thanks! You can sub an equal weight of jarred tomatoes and it will be great, but it will have a different flavor. 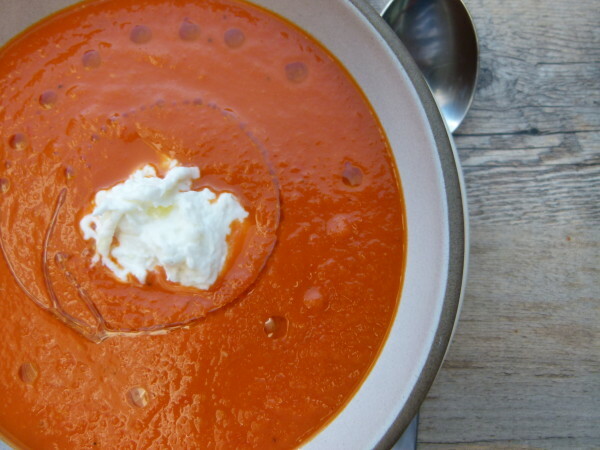 This is positively the BEST tomato soup ever. Especially appreciate that it’s not cream-based! So happy to hear you say that! I just made this soup tonight and it was delicious! I am so excited about how yummy it turned out! Thank you for such wonderful recipes that are easy, healthy and wonderful! You are the Best! Thank you, Cathy! I appreciate your readership and I always love hearing from you.